While it may seem natural for birds of the same species to get along, this is not always the case. But gradual introductions often work well. Here are some ideas to help. Keep the new bird in its own cage where the old bird can hear him, but out of sight. This way the birds will get used to hearing each other and the new bird will become accustomed to your home. 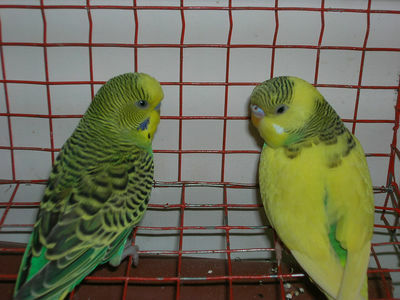 After about 2 weeks, the cages can be in the same room so the birds are able to see each other. A couple of days later, you can place the cages next to each other. This will allow the birds to touch, but they will be able to escape further into their own cages if they try to peck at one another. If they appear to be upset, separate the cages by a few feet. After 2-3 days, again place the cages side by side. Repeat this procedure until they seem to be getting along. Now you are ready for an important test. Make sure your house is safe for the birds. If they are getting along with cages close together, they are ready to be let out of their cages. Don’t leave them unattended. For the first couple of days, keep a watchful eye to make sure all is well. If this works out, they are ready to be placed in the same cage. As before, for the first few days, watch them to be sure there are no problems. Another tip to introduce a new bird to the “old” bird. 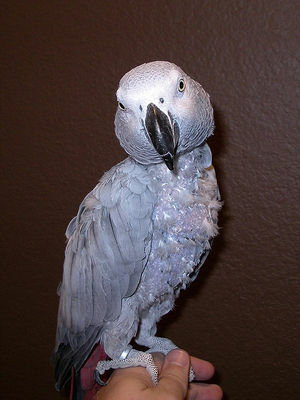 Pack up your bird in a traveling cage and bring him/her to the place where you would like to purchase another bird. 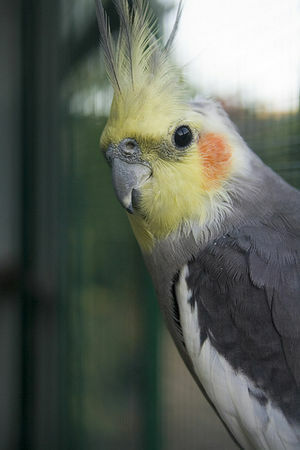 Keep your bird in the cage at all times, but you can place the 2 birds close to each and watch their reactions. 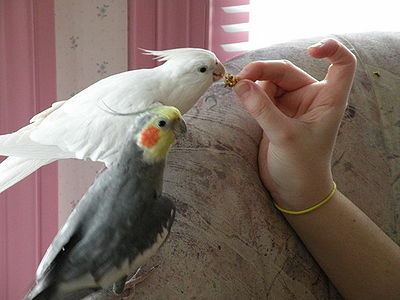 Birds are like people – they like some of their own kind and dislike others. Watching for any aggressive behavior can help you with your decision. When you take the new bird home, you can follow the instructions above. You may be able to place the cages next to each other sooner than expected.